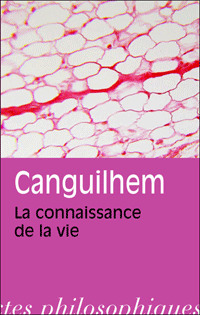 Bibliography: Canguilhem, Georges, in Dizionario di filosofia (2009). By an act of donation dated October 2nd 2003, the École Normale Supérieure received the libraries and the personal archives of George Canguilhem. 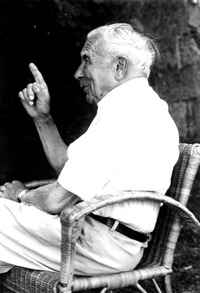 According to the will of the philosopher, his family insisted that his papers should not be published as posthumous works. The archives are divided into an administrative section, which contains material regarding Canguilhem’s career, a personal archive with documents about his scholarship and his role in the French Resistance, another containing notes for his courses, seminars, conferences, his professional correspondence, and other folders regarding his own and other authors’ publications. The inventory of the archive is today available on-line as a PDF, and will be shortly available on CALAMES (Archives.Canguilhem.pdf). The library occupies 83 linear metres, with 3863 titles in its inventory. The order of the books follows the way that Canguilhem organized them in his house. There are two ways to access the full list of the collection: an author search (‘Canguilhem Georges’), inserting ‘Canguilhem Georges’ as the provenance. Otherwise a search by signature, indicating the prefix CAN: the documents will appear according their order of classification.